Employee resource groups are becoming a universal part of enterprise D&I programs, but HR and diversity leaders often struggle with day-to-day management. Modern ERGs connect employees with shared experiences and values through events and activities, stimulating membership growth, participation, and employee engagement across multiple business resource groups. Reducing the administrative burden of ERG management saves time, allowing diversity officers to enhance, grow, and scale ERGs across their organization. 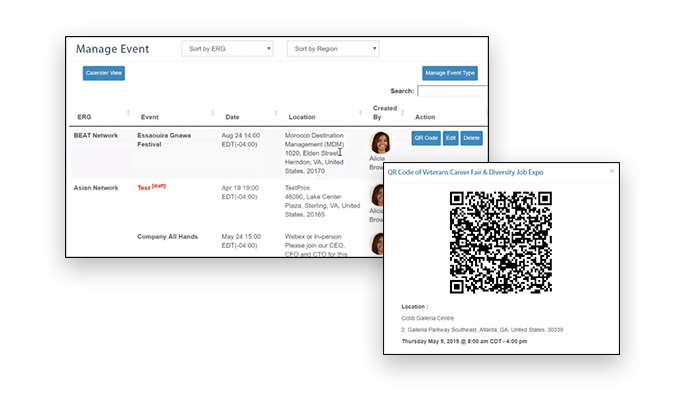 Connect your employees to diversity-focused events using an intuitive ERG management technology that integrates and automates all ERG processes. 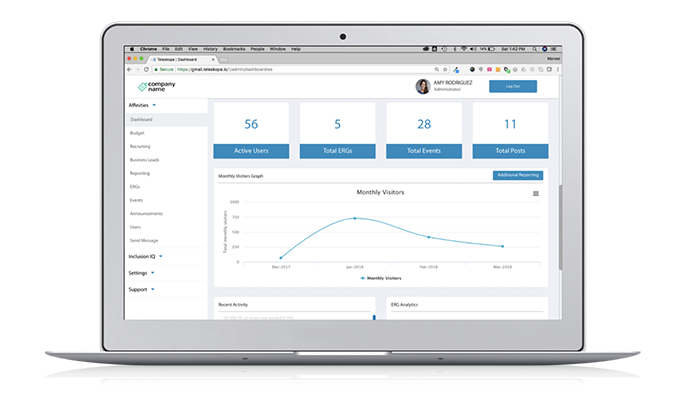 Our ERG platform supports sophisticated metrics and generates real-time data, enabling diversity leaders to track employee resource group activities and measure engagement for a clear view of ROI. Improve the employee onboarding process. Create events by region, individual ERGs, and group subchapters with integrated calendars. Set group-level KPIs to monitor participation trends and member growth. Gain real-time updates, total data visualization, and actionable workforce analytics through accessible graphs and efficient reporting processes. Encourage employee engagement and facilitate D&I conversations within public or private groups. 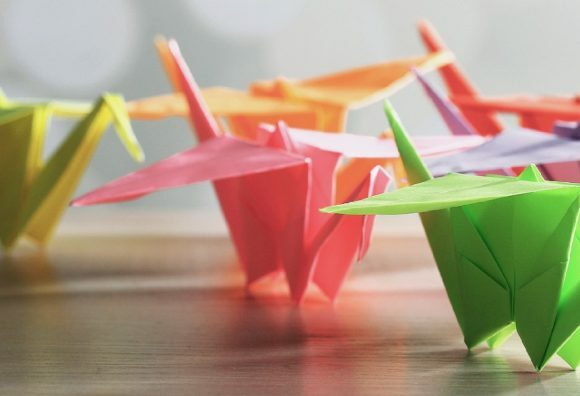 Segment groups to promote employee self-identification and deeper inclusion. Build dashboards unique to each admin and ERG leader role, and customize employee views based on group membership. 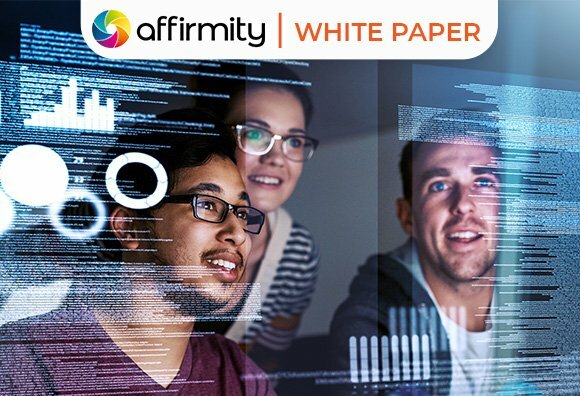 Prepare financial targets, manage budget requests and approvals, and track program funds to measure the holistic business impact of your D&I investments. Simplify the user experience and employee access to ERG event information with an intuitive mobile application.